If you were expecting a visual and written history of this heritage brand and its products you might be sorely disappointed with Louis Vuitton: A Passion for Creation. This book celebrates the brand’s dedication and patronage to the arts in its broadest sense. The subtitle is far more telling than you would expect; be advised that this is a book that details Louis Vuitton in the age of Arnault. 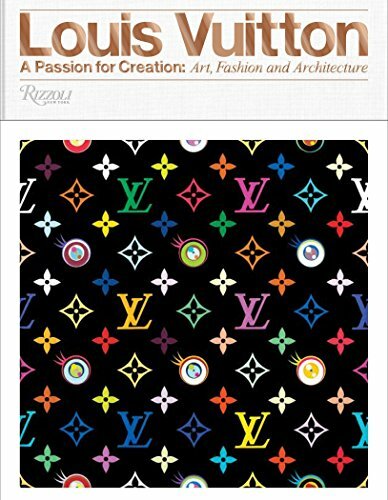 The images in this superbly rendered volume offer proof of Vuitton’s expansive fascination and preoccupation with a vast array of creatives and how their oeuvre is applied and or utilized for the brand whether in store design, handbags, scarves, furniture, home accessories, and even decorative oddities that might boggle the mind of some readers. This reviewer had no idea of the brand’s overwhelmingly extensive devotion and commitment to the arts. If one had to assign a single word description, it would unquestionably be staggering! Even the most well read and educated fashion reader or fashionphile will find themselves awed by the wildly diverse assortment of collaborators in which some will be known and recognizable while others will be not very well known. Vuitton has partnered with these creatives, and each of them has contributed to the legacy and breadth of this evolutionary brand. No matter how aware the reader might be they will be reminded that we are never as well informed as we might think. Is this a coffee table book? Yes. While it is visually arresting, this tome must be read if one is to fully appreciate and grasp its context and content. The text is factual, informational, insightful, and most of all intelligently written to afford the reader maximum levels of understanding about each of the exhaustive list of collaborators. The list of contributing writers is as authoritative and compelling as the subjects they write about.